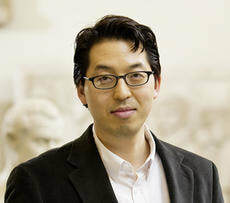 Thursday, March 1st, 2018 at 6:00 p.m.
​David Young Kim is an assistant professor in the History of Art at the University of Pennsylvania. He received his M.A. and PhD from Harvard (2009) and has held fellowships at the Villa I Tatti, Kunsthistorisches Institut in Florence, as well as at the University of Zurich. He is the author of The Traveling Artist in the Italian Renaissance (2016) as well as the editor of Matters of Weight: Force, Gravity, and Aesthetics in the Early Modern Era (2013).